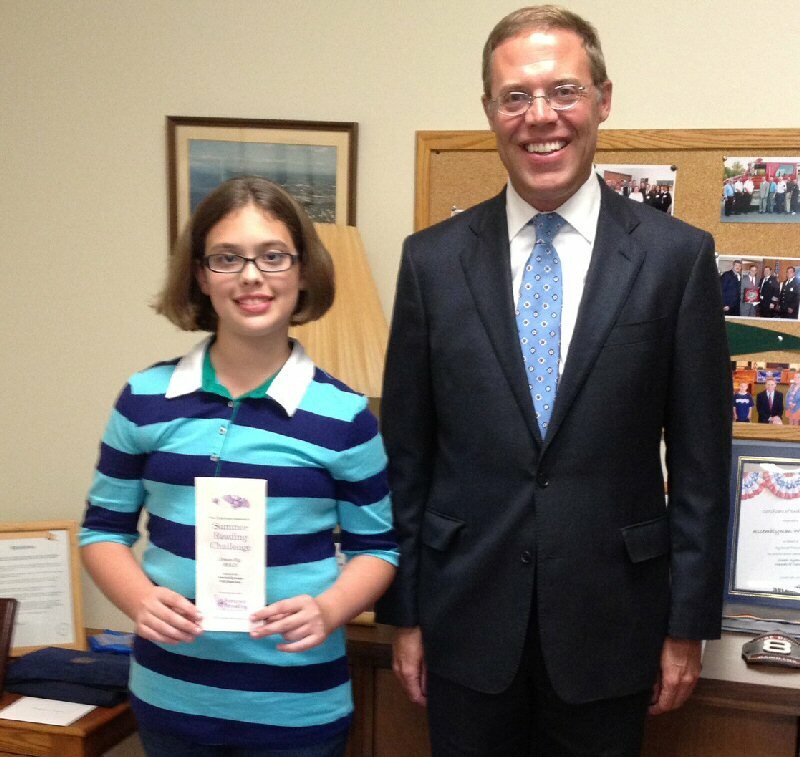 FULTON, NY – Destiny Schneider, 11, from Fulton, was the first child to submit her completed summer reading challenge to Assemblyman Will Barclay’s office this year. She is pictured with the Assemblyman in his office in Fulton where he congratulated her and gave her a certificate. Destiny read more than 40 days for 15 minutes or more during July and August. Assemblyman Barclay reminded families, if they have not already, to submit their Summer Reading Calendars to his office at 200 N. Second St., Fulton, N.Y. 13069. Those who do will receive a signed certificate. The public is invited to the Dream Big Read event, sponsored by the Literacy Coalition of Oswego County on Sept. 22 from noon to 3 p.m. at Fairgrieve Elementary School at 716 Academy St., Fulton. Assemblyman Barclay is a participant of the event and will also present summer reading certificates to readers at the event.